If you are hosting a family feast, you want it to be festive and engaging. These turkey napkins double as napkin rings and place card holders for your table setting. Gather the kids and the crafty family members around the kids' table and have them make this Thanksgiving craft activity while you prepare their feast. Enjoy! We noticed that a lot of people are searching for turkey napkin fold. That seems complicated. With this turkey napkin rings craft, there's no need to learn a fancy turkey napkin fold! In fact, you don't even need fancy napkins! We found this brown fall dish towel at the Dollar Tree. It's great, when the party is over, you'll have a whole new set of dish towels for the kitchen. If you're really nice, you can send them home with your guests as thank you gift. You'll need: Kitchen Dish Towels, Fall Ribbon, Construction Paper, and Brown Craft Paper. 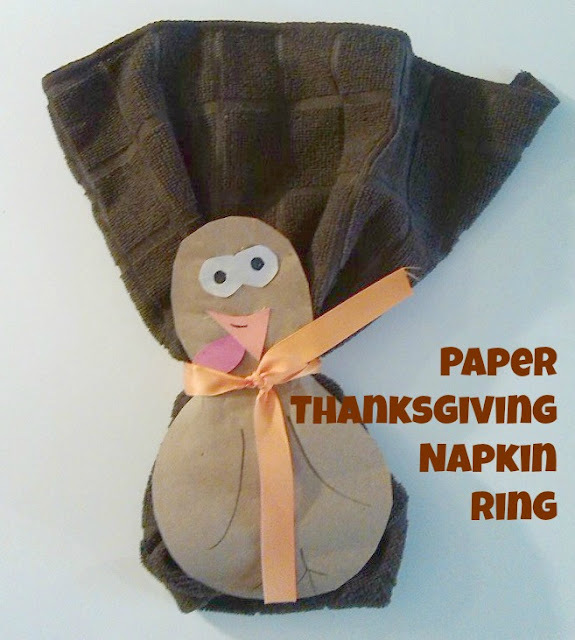 To make the turkey napkin holder craft cut a turkey body from brown craft paper (or construction paper) as pictured. It you are using 8 1/2 x 11 paper, fold it in half like a book and cut two. The turkey body is about 6" h x 4" w. Then, cut out eyes, gobbler, and beak as pictured. Use a glue stick to attach. Cut an 8" fall colored ribbon that coordinates with your decor and dish towel to use as a tie or ring for your napkin. Fold your dish towel into a rectangle (or leave it folded like it was when you bought it). Place the finished turkey body on the napkin and then tie a ribbon around its neck. Spread the end of the towel to look like turkey feathers. 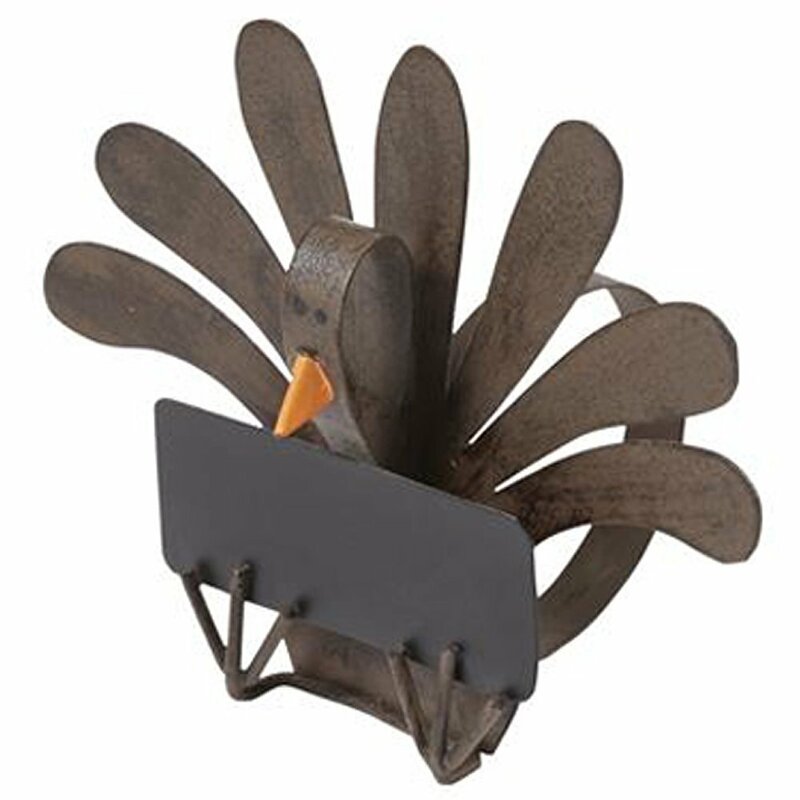 Pair it with this adorable turkey place card holder that we found on Amazon. Like these ideas? Find more fun ideas on our Pinterest profile or Instagram.